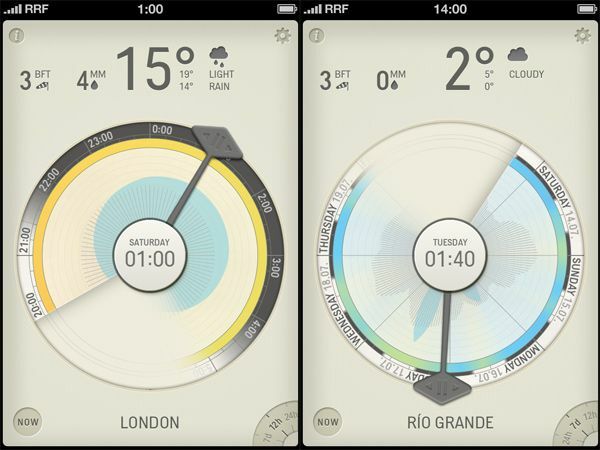 Minimalist weather apps must be the current hot trend among developers right now because we’ve seen a slew of pretty new iOS weather apps hit the App Store recently. If the last three weather apps we covered haven’t quite done it for you, maybe Partly Cloudy will. Partly Cloudy is different from most weather apps in that it displays all the information you would need to know for a single day in one unique and compelling infographic. 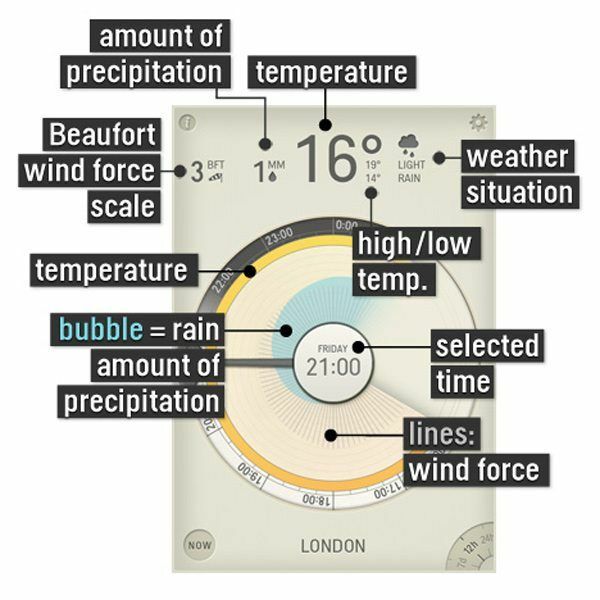 Modeled on a traditional clock face, Partly Cloudy’s infographic presents weather data in a fun new way that’s also very useful. The app was designed by Raureif for iOS. From the main interface you can view temperature, wind force, precipitation, weather situation, etc and see how they are predicted to fluctuate throughout the day. Users can drag the clock’s hand to a point in time and be presented with a rich amount of data. It’s a really neat app that maintains minimalist design without compromising on the amount of data display. Partly Cloudy is available in the App Store for $0.99.